Mini succulents are beautiful and interesting accents! 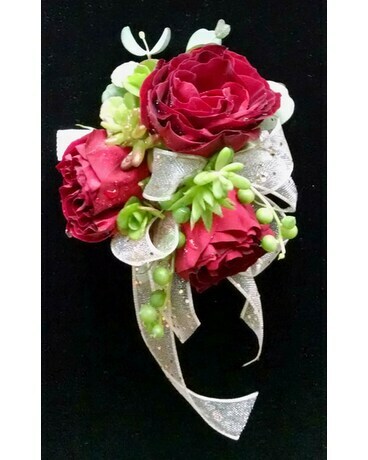 We pair them with the rose color of your choice and coordinating ribbon. Made on a silver stretch wristband, or choose a rhinestone or pearl option at right.